This week as we prepared for the church yard sale I took a moment and reflected upon the effort needed to have a successful sale. Scheduling was a big problem for us this year with the many things in our lives we are so busy with. Matushka finally was able to corner me into setting a date and making a space in my hectic schedule. And of course we needed items donated to sell and folks willing to give their precious time to price the items and also to help work the sale. We needed to advertise so we placed a small ad in the newspaper, the bulletin board and even placed yard sale signs on the street in front of the church. Matushka went to the store and found special yard-sale price tags and we had to go to the bank and get some small change to keep on hand. On Saturday in the early morning before the roosters began crowing, we had to set up tables and moved all the donated items out front to the street. It sure took a lot of preparation to get rid of unwanted things we had kept in our lives and then we settled for pennies on the dollar. But the money raised will be put to good use! Matushka was pricing items on Friday when a local woman happened into the church, lured by our new bright yellow yard sale signs. She looked around and quickly realized she was in unfamiliar territory. 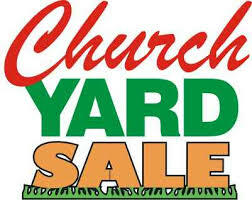 The church hosting this yard sale was not like any church she been in before. She immediately wanted validation as to why we had icons of the saints and why we honor the Mother of God so much. She wanted proof between the black and white pages of the constantly re-translating solo in the scripture, she believes is the Bible!! This woman had the “I’m not in Kansas anymore look” about her. 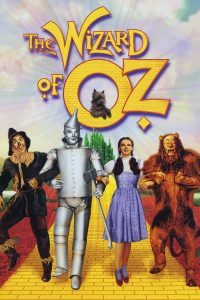 That saying came from a great musical entitled The Wizard of Oz and it involves an enormous tornado devastating the farmland in Kansas, and sending Dorothy and her dog Toto to a make-believe dreamland while the untamed winds scattered and lost all the families’ treasures. Interestingly enough, I parallel that imagery to the church in the West, only some of the treasures remain but many have been scattered and picked through or lost. 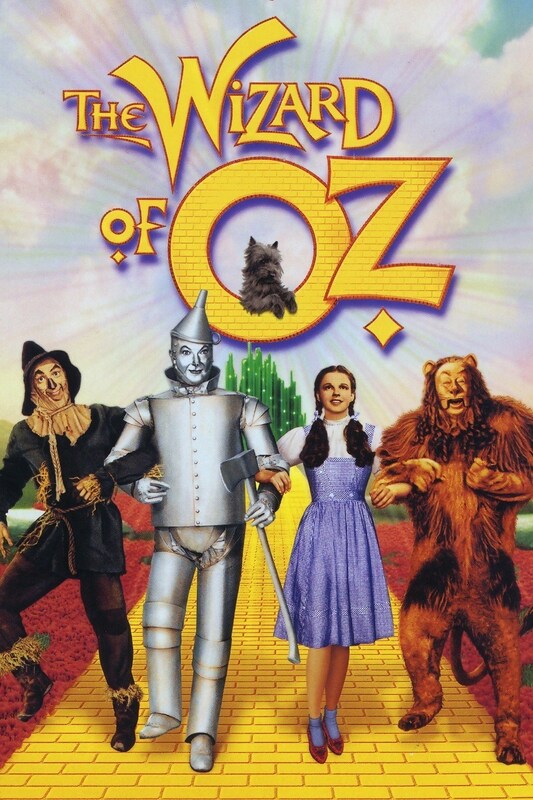 Perhaps that great scattering wind originated in the lungs of the big bad wolf, the evil one. Which brings me to the wedding banquet mentioned in the Gospel reading today, what does it mean to have our wedding garment on? Just like the yard sale, it takes a lot of work. You see it takes a time commitment, our God is a jealous God, keep the Sabbath Day holy! I have heard some people tell me that they are Orthodox but they don’t attend or rarely attend Church. Perhaps they have become OTHER-ODOX? They are just too busy chasing there tail around in circles instead of clinging on to the pursuit of everlasting life. They’re heart has become blind and darkness is looming! And then there is the great wedding banquet which has been prepared. Is there a dress code to attend such a great banquet? Yes, we should wear our best! And how many people have been invited? Everyone has been invited but how many are prepared to receive the Great Feast? It takes preparation. You need confession, repentance and you must take time to say the pre-communion prayers which help us reflect upon our sin thirsty nature! That brings me to the next point, how often should someone receive the Holy Gifts? And the answer is: as often as one can. If you are Orthodox, you need this prescription to heal. You need this Gift to make ready your soul for the life everlasting! It should be at the very least of least once a year! It really should be as often as you can, it should be as though you’re very life depends on it! Some folks have convinced themselves that they are way too unworthy, they are convinced that there worth has diminished to only pennies on the dollar! Some folks may say that they are serving a penance. Here at our church, please come to your priests and let’s have a talk. We want you to receive all the great treasures that the true church has to offer! Every week, you are invited a grand wedding. Jesus desires you in marriage. You are the church! He wants a commitment from you! It will take a great effort and it will not be easy, but you know way down deep in your heart that it will be worth it! Come, won’t you come? Don’t be an OTHER-ODOX! This week we began bleaching the exterior of our cabin. We applied a special mixture of Trisodium Phosphate, Clorox and water to the exterior and then rinsed with the power of a high pressure washer and this process removed all the oil and stains that have weathered and blemished our logs over the last year. Once dried, this process readies the logs for a protective coat to be installed to defend the wood from the rot, wood boring bugs and hopefully hard-headed woodpeckers. We Christians also use a special mixture to remove our sinful stains and blemishes. We Orthodox use prayer, blessed oil and water and the help of the Holy Spirit. We call this process baptism. Baptism in the Church begins with the rejection of Satan and the acceptance of Christ. Before being baptized, a person, or his sponsors or godparents, officially proclaims the symbol of Christian faith, the Creed. Because the godparent speaks on behalf of the child, sponsors his entrance into the Church and “receives” the child out of the baptismal waters into the Church and cares for his spiritual life, the godparent himself must be an active member of the Church. In the Christian Church the practice of baptism takes on a new and particular significance. It no longer remains merely a sign of moral change and spiritual rebirth. It becomes very specifically the act of a person’s death and resurrection in and with Jesus. Christian baptism is man’s participation in the event of Pascha. It is a “new birth by water and the Holy Spirit” into the Kingdom of God (Jn 3.5). On this day we remember the patron saint of godparents and his sacrifice paid for his faith in Christ. 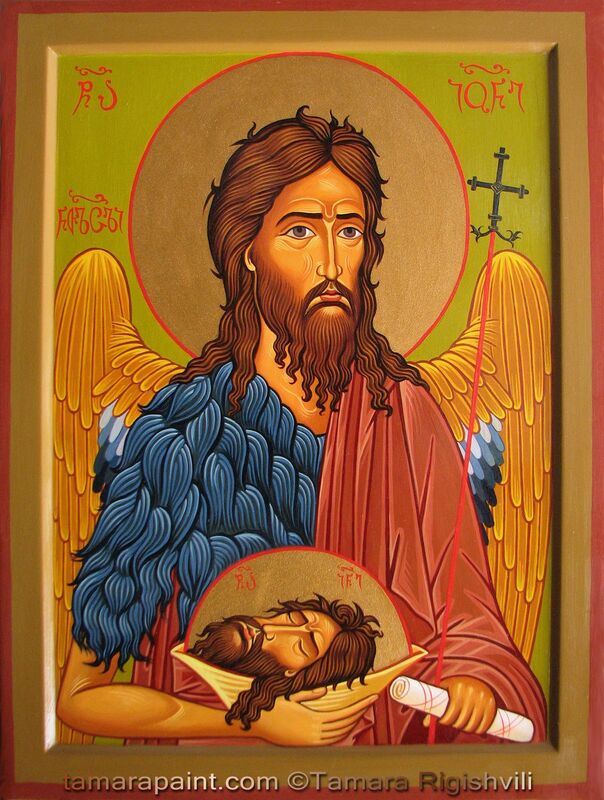 St. John the Baptist lured people into the river water and by the power of the Almighty removed their stains and through their repentance their lives were changed. St. John’s father, Priest Zacharias was murdered in the temple and his mother Elizabeth (daughter of Aaron and cousin of the blessed Theotokos) took the young lad into the desert where he was raised. Later as a young adult, St. John began to preach about the necessity of repentance and self-sacrifice. He denounced the Sadducees and Pharisees and warned the tax collectors and soldiers against extortion and plunder. St. John baptized thousands of people as a sign of repentance and a preparation for the Kingdom of Heaven. 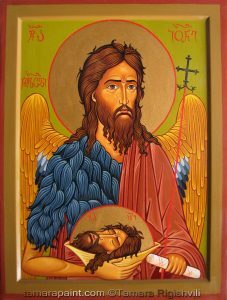 Jesus was also baptized by St. John not because he was sinful and needed to repent, but because in allowing himself to be baptized he showed that indeed he was God’s “Beloved Son,” the Saviour and Messiah, the “Lamb of God who takes upon himself the sins of the world” (Mt 3, Mk 1, Lk 3, Jn 1–3). Our baptismal water is prayed over and blessed as the sign of the goodness of God’s creation. The catechumen to be baptized is also prayed over and blessed with sanctified oil as the sign that his creation by God is holy and good. And then, after the solemn proclamation of “Alleluia” (from Hebrew, meaning “God be praised”), the person is immersed three times in the water in the name of the Father, the Son and the Holy Spirit. Through the act of immersion, the baptized person dies to this world and is born again in the resurrection of Christ into eternal life. He is clothed with the “garments of salvation” symbolized by the white baptismal robe which is the “new humanity” of Jesus himself who is the new and heavenly Adam (Jn 3, Rom 5, 1 Cor 15). Thus, the words of the Apostle Paul are chanted as the newly-baptized is led in procession around the baptismal font three times as the symbol of his procession to the Kingdom of God and his entrance into eternal life: “For as many as have been baptized into Christ have put on Christ. Alleluia” (Gal 3.27). I pray that your baptismal waters bleached away all your stains and the protective coating of salvation in Jesus Christ shed away all the sinful rot, fungus and the hard-headed woodpeckers of a world which is lost in the desert and in need of a Savior.